Engage and excite your organization with stunning surroundings and one-of-a-kind experiences. Host your next team-building event at Lakeway Resort and Spa and watch attendees connect over culinary contests, casual gatherings or customized programs. Set in the beautiful Texas Hill Country, Lakeway Resort and Spa offers a variety of locations to host your team-building event, including the gorgeous Vistas Ballroom with spectacular views of the surrounding Hill Country, and the newly remodeled Kid Zone, which is available for private events. 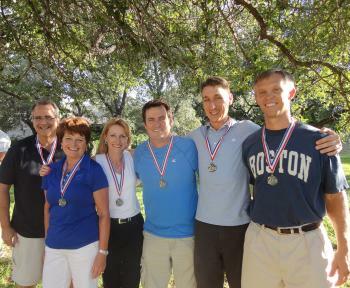 Lakeway Resort and Spa is the perfect backdrop to create unique team-building and group networking events. Through customized and facilitated activities, the resort offers companies a fun way to entertain, motivate and help attendees get to know each other. Show off your culinary skills at a mixology contest, chili cook-off or cake decorating competition, or arrange a more casual environment for networking with s&apos;mores by the fire pit or a Texas Hill Country wine tour. For a high-energy experience that will unleash the inner kid in everyone, plan an event at The Kid Zone, which features bounce houses, ping pong, pool tables, mini putt-putt and air hockey. A favorite destination for meeting planners and attendees, the AAA Four Diamond resort recently completed a nearly $7 million makeover, including upgrades to meeting spaces, guest rooms and suites and other popular resort facilities. With more than 24,000 square feet of event space - including 17 meeting rooms, four ballrooms and break-out space - Lakeway offers renovated meeting space with new carpet, wall furnishings and fixtures and upgraded internet bandwidth. The resort also offers CMP and DMP packages as well as on-site audio-visual capabilities and support. When meetings come to a close, attendees can catch up on tasks in the new guest rooms and suites. Ideally suited for business travelers, many of the spacious guest rooms include an oversized separate chair with ottoman, dedicated work desk and floor-to-ceiling windows with stunning views. Lakeway Resort and Spa boasts 168 guest rooms, San Saba Spa, a 24-hour fitness center, and Masterson&apos;s Steakhouse. Just 40 minutes from Austin Bergstrom International Airport and a short drive to downtown Austin, guests can be stage-side catching live music at one of Austin&apos;s famous venues in just 25 minutes. During November and December, take advantage of great winter deals on select dates. Contact the sales team at 512-261-7314 to book your next meeting, or get an inside peek at this spectacular resort with the Lakeway Resort and Spa virtual tour.